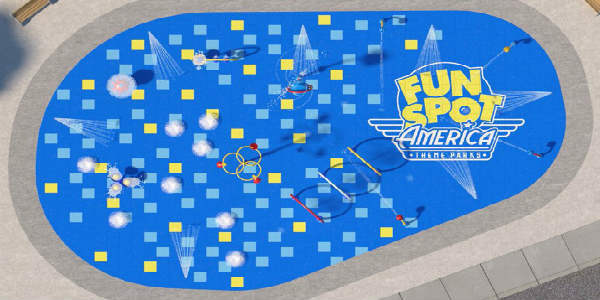 The new interactive water splash experience will have over 30 interactive features and will be included as part of the all-day armband pass that Fun Spot offers. All of the water toys and spraying elements have been proven to encourage child development and stimulate the brain through toys that move, twist, or spin. 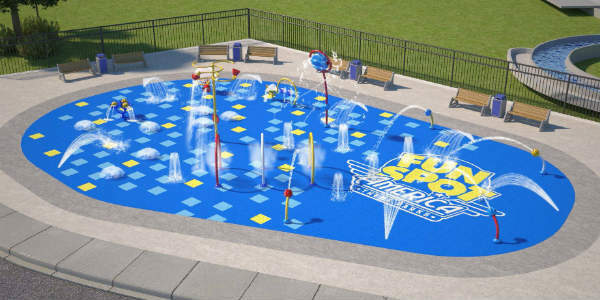 The nearly 4,000-square-foot interactive water feature includes state-of-the-art slip-resistant soft flooring, and it uses environmentally-friendly, advanced UV Ray technology to disinfect the water without harsh chemicals. The new interactive water feature also conserves water using detection sensors that only run the features when guests are present. I’m sure this will be a popular addition to the park, especially during our hot Florida summers.